Unfortunately, the dress you are looking for (Style: JU-MA-264961, Name: JU-MA-264961) is no longer available. 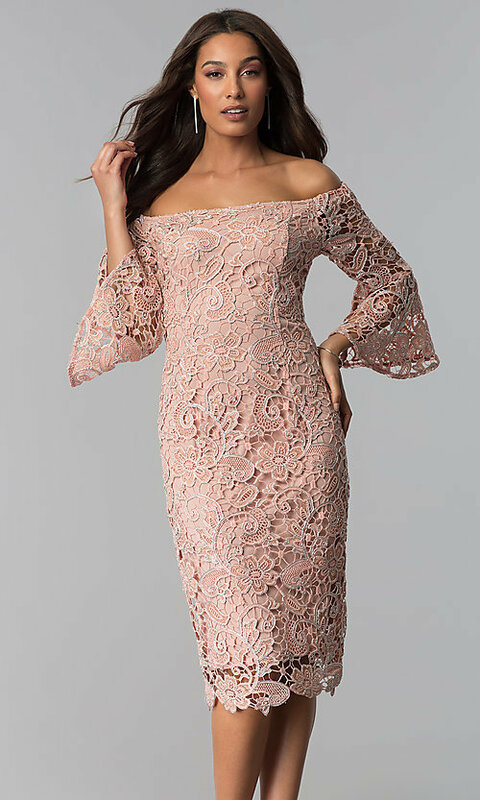 Glitter lace knee-length off-the-shoulder wedding-guest dress with bell sleeves. 37", Hollow to Hem 40"